I have a radio that my grandmother gave me, which she had gotten from her uncle. 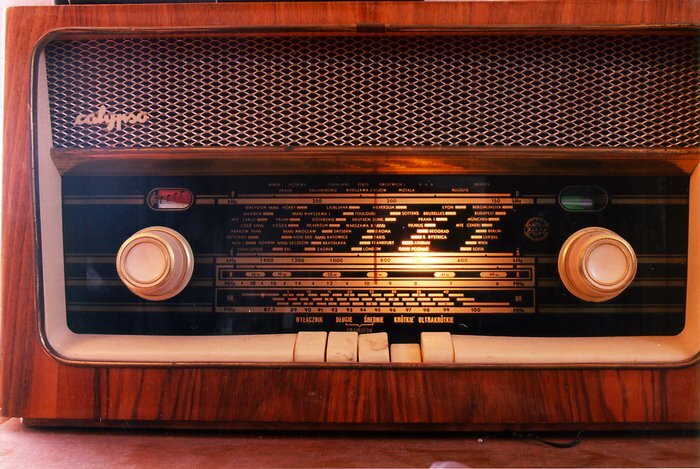 It's a Polish radio from the late 1950s or early 1960s. My Polish friend Rafal at work has identified it as a Diora Calypso; I couldn't really read the company name on the right of the dial. I've taken two pictures of the radio. The first is the whole radio, from the front. The second is a close-up of the radio's dial, so you can see the cities listed. I particularly like that the Polish cities have a little cross-hatch in the bar next to their names, for easy identification. 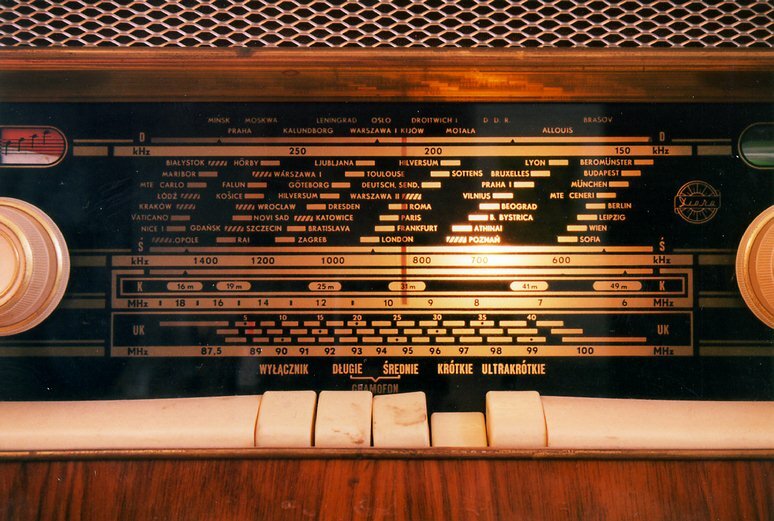 I got e-mail from someone in Poland who tells me that the radio started production in 1959, and that it was the first Polish set to fully receive FM. Neat!